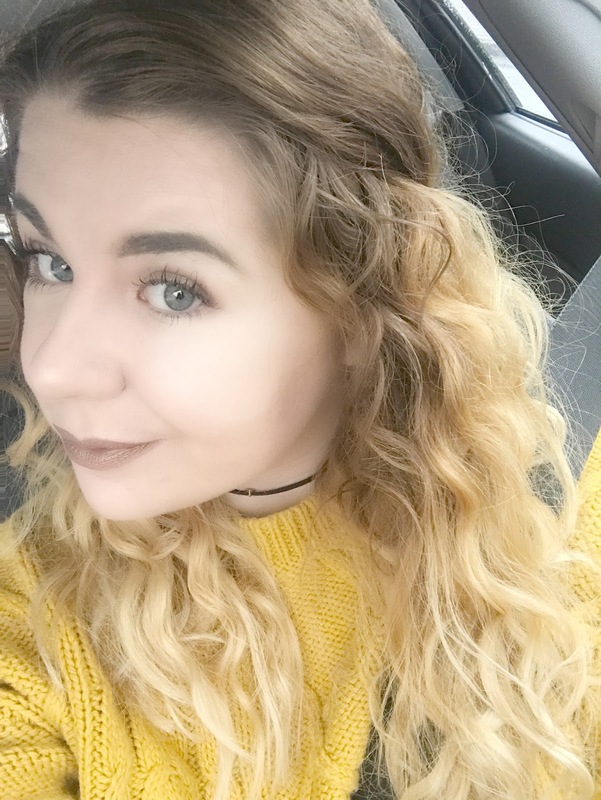 For the past year or so, I have slowly been having my hair dyed lighter and lighter, The whole process started as balyage and now i'm not really sure what happens. I've started having my natural roots lightened too! However all that dye makes it hard to maintain, the blonde has taken a hell of a lot of bleach (I get it dyed every 6-8 weeks) so obviously I need to look after it. I have a super sensitive scalp so I stick to a medicated shampoo, again this isn't great for coloured hair as it is really harsh but there's not too much I can do about that. That being said, I really focus on the conditioning and treatment out of the shower. For conditioner I use a mix of two, the Lee Stafford Bleach Blondes Conditioner (£6.99). This smells incredible and does a really good job of keeping the blonde looking healthy. The conditioner is a kind of purpley colour which takes the brashness out of the colour. The other conditioner I use around twice a week and is the Pro-voke Touch of Silver (£3.19). Trust me, this gets very messy! 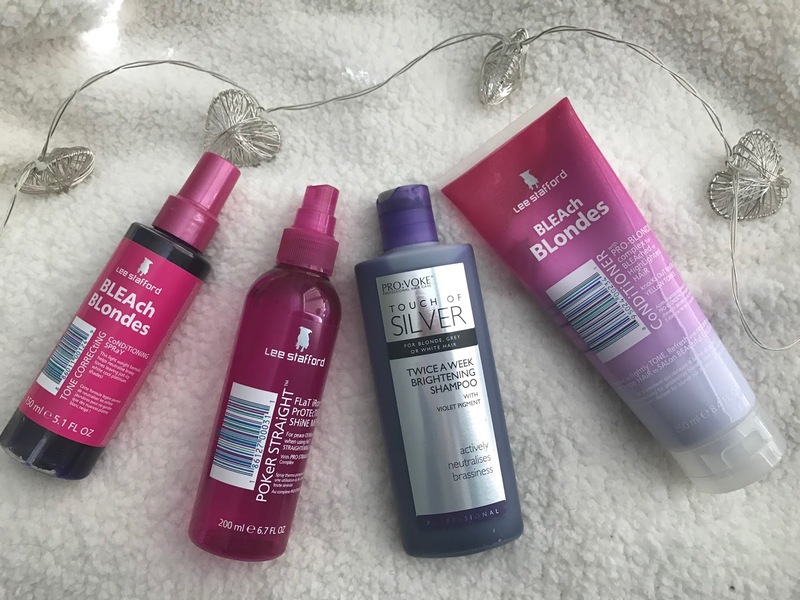 It's a bright purple shampoo that works by restoring damaged and dry hair. I wouldn't recommend this for everyday use though, just once or twice a week. Once I'm out the shower, the treatment continues. Every other time I wash my hair I use the Lee Stafford Bleach Blondes Tone Correcting Conditioning Spray (£8.99). You shake the bottle to awake all the components and than spray onto the ends of my hair. It helps to banish those nasty, brassy tones and I will say it does a really good job. Finally, I make sure I always use a heat protection spray. My one of choice is the Lee Stafford Original Heat Protection Shine Mist (£6.49) as it smells beautiful. I spray this on towel dried hair and then again before I use styling tools. I try not to blow dry my hair too much (controversial, I know) especially if I wash it at night but I always brush it before I go to bed. If i'm going out then I will blow dry it about 80% and then leave the rest to dry naturally. I then style it however I decided, my current favourite is the Chopstick style although it takes soooo long to achieve!